The Collaborative Culture Summit is an action-planning two-and-a-half days where senior leaders (and their teams) meet to gain a deeper understanding of culture, and to develop a specific action plan for their organization on the next steps of their culture journey. We begin with a deep dive into what is culture, what is a high-performing culture, and what are the benefits of a high-performing culture. Following the deep dive into culture, we examine key elements of the culture journey for each organization, and develop a detailed plan for next steps. 2) What is a “good” culture? 3) What are the benefits of a good culture? 4) What is the role of leadership in the culture journey? 5) What does the journey to cultural excellence look like? 7) What do I do on Monday morning? 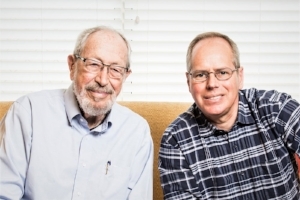 Edgar and Peter Schein, coauthors of Organizational Culture and Leadership (5th edition) and Humble Leadership. Edgar Schein has been studying and writing about organizational culture for over 40 years, and is rightly considered the “grandfather” of the concept of organizational culture. 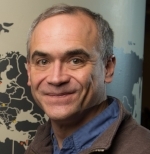 Peter is the co-founder with Ed of the Organizational Culture and Leadership Institute. Peter will be present at the Summit, and will do a live video interview with Ed, beaming him in from Palo Alto, CA. James Goebel is co-founder and COO of Menlo Innovations, a software development company in Ann Arbor, Michigan. Menlo Innovations is visited by thousands of people each year who are interested in learning about, and finding ways of implementing elements of, its well-known and unique culture. Mac Tristan is the Chief of Police at the Coppell, Texas police department, who transformed the very authoritarian organizational culture of a very hierarchical department into a collaborative, highly engaged culture through the use of servant leadership principles. The days are highly interactive. Much learning comes from participants from different organizations sharing their experiences - what has and has not worked for them.